Husky 3 3/8 inch D-Ring, wire ring with bracket anchor point has a 3666lb working load limit with a 11000lb break strength. Anchor Points are a convenient way to attach tie-downs, twine or rope to a pickup truck or utility trailer. Bolt securely to surface. Husky Performance Engineered Vehicle Recovery Straps are the best way to tow a stuck or disabled vehicle. Hi-Test , abrasion resistant webbing, exceeds the needs of demanding applications. Lighter than chain and won't rust, rot or mildew. Stores easily in trunk, job box or behind pickup truck seat. This 2 inch x 20 ft.Vehicle Recovery Strap has a webbing capacity of 15,000 lbs. with a max vehicle weight of 7,000 lbs. It is best used for mid-sized trucks and SUV's. Husky tow straps are performance engineered to provide the perfect solution for your towing needs. The Hi-Test webbing of our tow straps will never rot or mildew, and the strap provides a lightweight solution for easy, compact storage impossible to achieve with a chain. 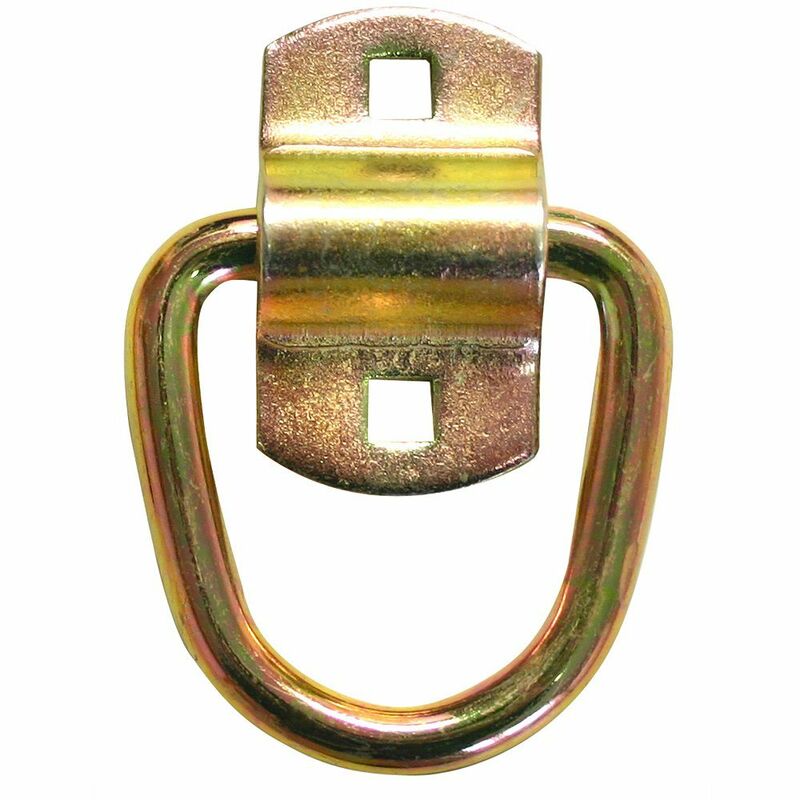 Zinc-plated, forged hooks do not rust and are secure and reliable in every situation. Spring latches attach easily to vehicle frames, even in emergency situations when strength and speed are essential. Abrasion resistance and higher tension capacities allow Husky tow straps to resist breakage and remain dependable even under the most demanding conditions. This 2 inch x 15 ft. Tow Strap has a webbing capacity of 12,000 lbs. with a max vehicle weight of 5,000 lbs. It is best used for full-sized cars or light trucks. This REESE Towpower<sup></sup> adapter converts a 7-way blade connector to a standard 4-way flat connector. It features highly visible, red LED circuit tester and transparent red glow when the tail light circuit is activated, assisting on seeing connection at night time. Anchor Point 3-3/8 Inch Surface Ring Husky 3 3/8 inch D-Ring, wire ring with bracket anchor point has a 3666lb working load limit with a 11000lb break strength. Anchor Points are a convenient way to attach tie-downs, twine or rope to a pickup truck or utility trailer. Bolt securely to surface. Anchor Point 3-3/8 Inch Surface Ring is rated 5.0 out of 5 by 1. Rated 5 out of 5 by marccss67 from Super super strong! Very easy to use and gives great confidence in use...This is well worth the $10!